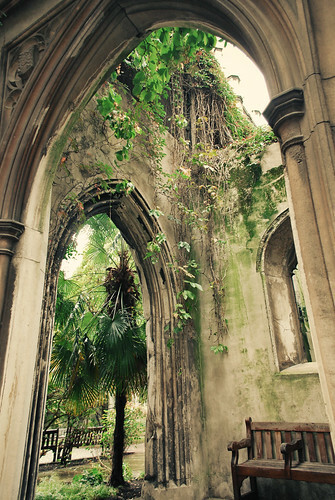 Art Blog: What happens when nature reclaims places? Sometimes when things fall into disrepair and nature is left to pick up where we have left off, there are some unexpectedly beautiful results. Water, unlike any other medium, flows - sometimes controlled, and then at times beyond control - over all manner of things in sensual fashion; wetting the lips of one subject, catching a gleam in the eye of another; running and dribbling freely as it goes. As she moves her brushes through her paintings, Elaine's sense of balance allows for them to neither control too much nor sit idly by uninvolved. Since we began drawing images that we perceive in the real world on flat walls and other such surfaces, we have learned the skills necessary to translate what we see with two eyes to a flat surface which is a fixed, monoptic view. Whether we did this by eye or by mechanical device our job was to translate the visual world to its simulation on a surface with height, width and very limited depth. We shall exception of the base relief created by textured medium, as it is not a concern of this short summary. Art Blog: Help Sinfinis Complete Their New Album!